The words ‘ice drill’ are enough to strike fear into the heart of many a gadget enthusiast - and this video shows exactly why. This man braved the tool, but unfortunately the machine quickly eluded his grasp, taking on a life of its own. 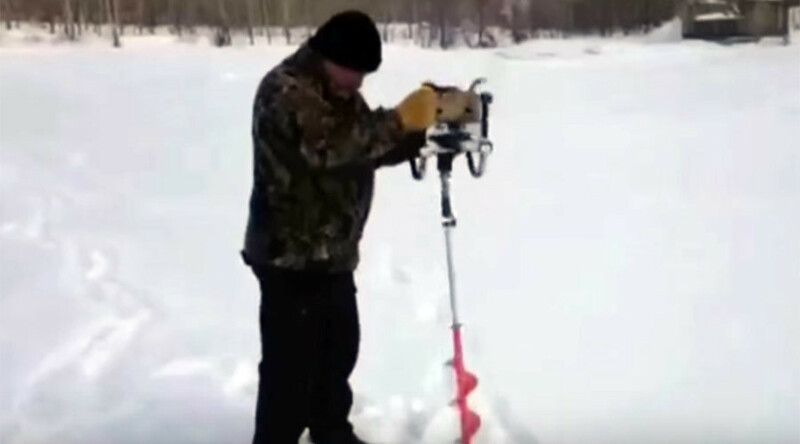 The corkscrew drill can cut a hole in thick ice, and is popular among ice-fishermen looking for some wintertime solitude on a lake. However, it looks like it might be this guy’s first time using one as he not only fails to break the ice, but he also appears to completely lose control of the device. The drill even whips the man’s glove off at one point. After pursuing the drill around on the snow-covered ice, the man eventually regains control over it and puts an end to its escape plans. Hard luck, ice-drill. We hope he doesn’t feel too bad about his experiences, as ice drills are tough work. These guys decided to attempt a rodeo on one and look what happened. And let’s be honest, even without the winter factor, normal drills are hard enough to handle. Let’s leave these tools to the professionals, folks.